13 new tasks – Work more effectively with your patients on memory, attention & planning exercises. 18 new difficulty levels – Challenge your higher functioning patients greater than before. New speech recognition system – Provide a smoother experience by allowing your patient's voices to be better understood. We understand it can be a challenge to find time in your day to familiarize yourself with all the valuable evidence-based content the app has to offer. So we’ve summed it up here for you. First, we entirely redesigned our Constant Therapy Tasks page on our website where you can now explore app content across 15 categories and review more than 75 task descriptions – each with a tutorial video you can watch, and clinical evidence that proves our therapy works. Constant Therapy has 7 cognitive domains with a range in difficulty levels for individuals with severe to mild impairments. As an example, in Pattern Recreation, patients retrace a pattern from memory. 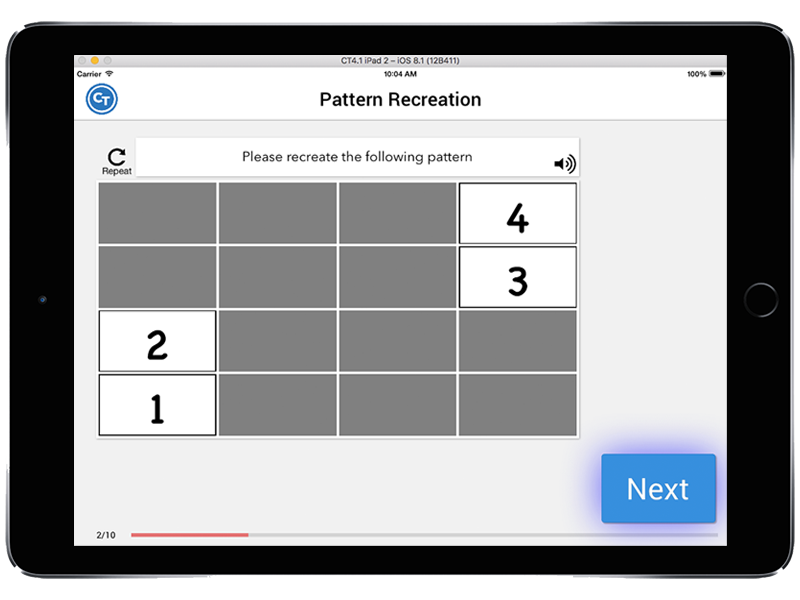 Pattern Recreation addresses several cognitive skills, and clinicians can also use this task to target many cognitive-linguistic strategies. For example, for left neglect, patients can practice scanning to the left of the screen. For sustained attention, patients can use verbal mediation to attend to the task. For memory, patients may use internal memory strategies such as verbal rehearsal, visualization, or chunking to recall the pattern. With 12 levels of difficulty, this task will challenge people of all ability levels. 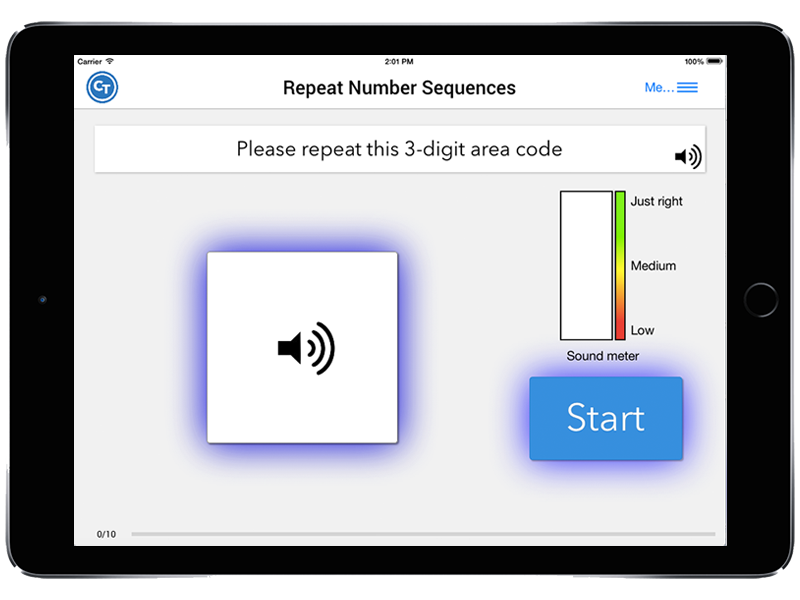 Constant Therapy now has 15 speaking tasks and an improved speech recognition system. Clients can speak into the app to receive immediate feedback on their production. They can also listen to their recording, use a cue, or try again, which promotes on-the-spot learning. These speaking tasks can address a variety of speech and language goals, such as speech intelligibility, motor planning, or word retrieval. Plus, if your client is working on cognitive goals, you can have them try tasks like Repeat Number Sequences, Repeat Active Sentences, or Repeat Passive Sentences to increase the demands on attention and auditory memory. Half of the Constant Therapy program targets language, including skills across phonological processing, auditory comprehension, word retrieval, sentence planning, speaking, reading, and writing. Within each domain, there are tasks to address a variety of skill levels. For instance, the Reading Comprehension domain has 17 tasks, from single word to multi-paragraph levels, including Functional Reading. 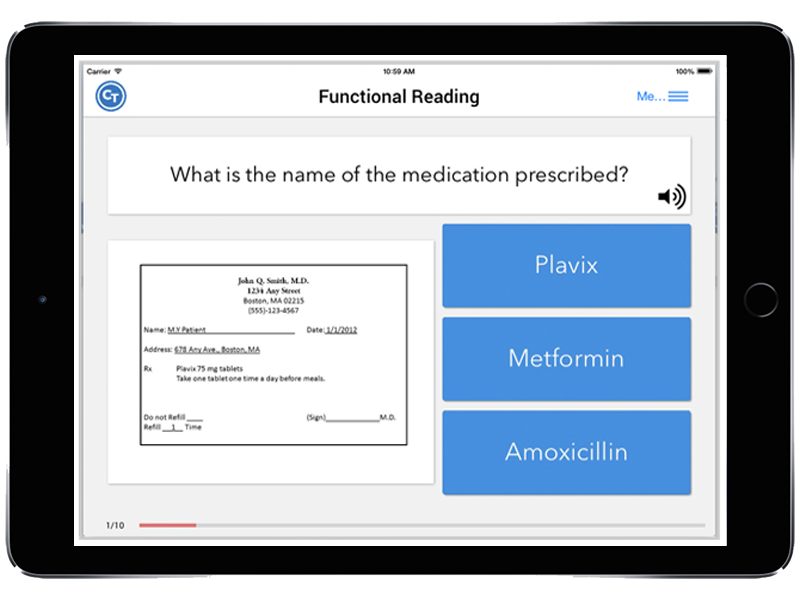 This task targets reading comprehension of everyday items such as prescriptions, menus, or advertisements. Our goal is to get individuals back to what they were doing before their injury. The Everyday Skills category can aid a return to activities of daily living with these language, speech, and cognitive tasks. 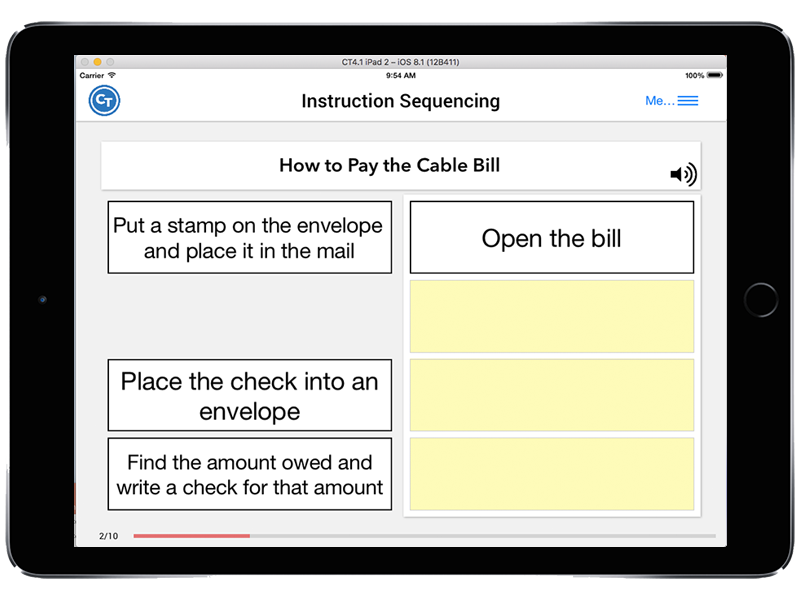 A popular task is Instruction Sequencing, which requires individuals to put the steps of an activity in the correct order. This task targets reading comprehension, working memory, planning, and self-monitoring. Visit our new Constant Therapy Tasks page to explore more of Constant Therapy.